In the manufacturing industry, keeping track of the source from which materials come from is a high priority. There needs to be clarity in the supply chain to ensure organizations can follow materials as they move between various locations. One of the most important variables that manufacturers need to keep an eye on is their mineral and metal supply sources. In other words, the mining industry plays a fundamental role in many companies and recent data from Mining Global underscores this fact. At the same time, it's up to manufacturing organizations to develop internal systems that will allow them to keep on top of resources. Mobile data collection is one of the most effective ways to track the flow of goods from suppliers to production facilities. Without a reliable source for materials required for production, it's highly unlikely that a manufacturer will be able to consistently deliver products to clients and customers. This is one of the reasons that makes strong relationships with mining companies so important. Citing data from a National Association of Manufacturers survey, Mining Global reported the demand for minerals and metals will increase over the next 10 years. What's more, 80 percent of manufacturing executives indicated sourcing these materials from domestic markets - the United States, in this case - is highly important. Another 85 percent of manufacturers said that a robust minerals and metals supply chain is a key to bolstering job creation and stability. It's hard to argue with this reasoning. 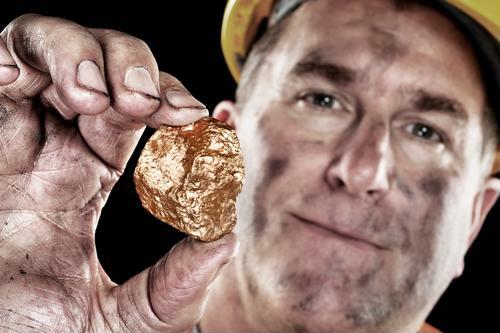 The U.S. is home to a $6.3-trillion market for metals and minerals. These are resources that are integral to steady production, making the U.S. an enticing location to source them. Everything from medical devices, automotive parts and vehicles to telecommunications products and defense industry output rely on the mining industry. Even in today's data-driven business climate, there are those in the manufacturing sector that are still hanging on to outdated manual, paper-based data collection practices. For example, paper-and-pencil data capture remain in place in many locations, creating a opportunities for errors to crop up. A recent RFgen Software white paper emphasized the benefits and need for mobile data capture through the use of enterprise applications. Technology like handheld scanners and tablets provide a much-needed solution for manufacturing organizations. These tools limit the number of errors that creep into warehouses and production facilities as companies bring in and sort materials from various suppliers. Mobile applications can automate processes that are carried out by workers who place a premium on convenience and reliability. This is one of the reasons that many employees will reach for a clipboard - these are easy to carry around and don't require electricity. However, as mentioned before, paper-based and manual proceses cumbersome, error prone and require additional labor to input data into a central ERP system. Instead of recording information about minerals and metals, which can be difficult to accurately track because of size and storage needs, with manual processes, implementing a mobile data collection solution can improve accuracy.